For all current vacancies at Doncaster Children’s Services Trust, visit our website. 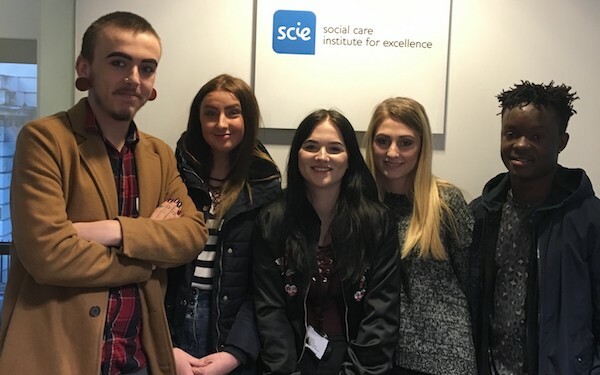 Young people with experience of living in care have seen their ideas turned into reality as part of the transformation of children’s services in Doncaster. With the core belief that the child’s voice has to be at the centre of everything being embraced by all staff, the chief executive of Doncaster Children’s Services Trust, Paul Moffat, recruited a team of Chief Executive’s Young Advisors to help shape services for children and young people in a way that has never happened before. Their involvement has been right across the board, influencing services and practice. Their collective CV in the past year is impressive. They’ve taken to the stage as a key part of staff summits; using this platform to help the Children in Care Council to voice their frustrations around industry jargon that makes them feel different. For example, they got the terminology changed from ‘contact visits’ to ‘family time’. Young advisor Becci, 18, is currently working as a modern apprentice in the trust. She and fellow young advisor, 17-year-old Marley, saw their ideas turned into reality when they were involved in a major renovation at one of the trust’s homes. As well as décor changes, this also included ideas on how the service delivery could be improved to create a family culture. Marley welcomes the chance to air his views. “It’s fantastic to be given the opportunity to work with the chief executive and managers on the services we receive, instead of the major decisions being taken by adults who have never lived in care,” he says. She, alongside other young advisors, has also taken part in more than 85% of trust staff interviews and helped develop and deliver Total Respect sessions to 350 staff and foster carers – and even to those outside the trust including NHS workers. “We created the activities to help adults understand just what it is like to be a child or teen living in care; and the course certainly leaves its mark,” said Chloe. The impact of the Total Respect training inspired young advisor Becci to put forward an idea to the chief executive and the trust’s board to expand it outside the trust. The board agreed that the income generated will form the ‘Becci Bursary’ for those who, like Becci, wish to pursue a career in social work, by funding them to complete their Access to Higher Education Diploma in social work and criminal justice. The power of the voice of these young advisors and the young people they mentor through the trust’s Children in Care Council has been recognised by external inspectors. Inspectors also praised the development of “a very impressive and well-supported Children in Care Council,” whose influence had been witnessed not only locally but nationally. 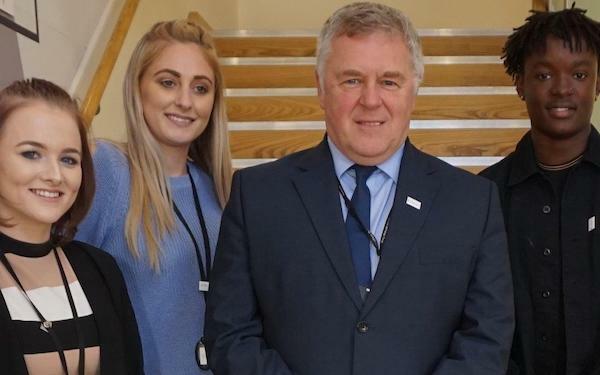 Their meeting with children’s minister Robert Goodwill led him to praise their work in his speech at the National Children and Adult Services Conference. The young advisors have been working with the Social Care Institute for Excellence on a project to improve mental health and wellbeing for children in care and have also spoken with MPs at an all-party parliamentary group about family visits, the importance of keeping in contact with siblings and growing up in residential care. They have, most recently, presented at the National Care Leavers’ Week conference. At the end of November they are to present at the Festival of Social Work in Sheffield and they are to contribute to the Martin Narey-led national stocktake of foster care. Trust chief executive Paul Moffat said: “The trust has a very clear commitment to ensuring that we take account of the views of our children and young people on all the services we deliver.